Now dogs can reduce their carbon paw print with collars that are hand made from recycled bicycle inner tubes! Thanks to a suggestion from Maggie on Facebook, Century Cycles is now proud to carry Cycle Dog collars in a variety of colors in Small (fits necks 6"-12"), Medium (fits necks 12"-21"), and Large (fits necks 17"-27"). Some also feature the patent-pending Pup Top, a dual-fucntion bottle opener/leash attachment. Cycle Dog collars are quick-drying, non-fraying, and offer soft, cushy comfort and no stinky build-up. Why bike inner tubes? Tubes are flexible, durable and non-absorbent. Once deflated tubes are hard to recycle by conventional means. Cycle Dog recycled bike tube collars are good for the planet, great for your dog and will last for years with proper care. Cycle Dog was founded in Portland, Oregon, by cyclist Lanette Fidrych, who is assisted by her two yellow labs and main product testers, Regan Ray and Hanna Mae. "OK, so I downloaded this and it is awesome. Have already found one or two things I was not aware of! It is a big app, but full of great info, including about Century Cycles under the bicycling section. I will be recommending this to everyone." The Cuyahoga Valley app, an indispensable resource for anyone exploring our 5th most visited national park, delivers constantly updated content, including the Cuyahoga Valley Scenic Railway train schedule, ranger led events and much more. Users can view daily sunset data (including the Ledges Overlook, one of the park's most popular destinations), listen to the audio tour, plan hikes, learn about points of interest such as Cuyahoga Valley’s historical towpath and access a complete list of facilities including restrooms. Like the Acadia National Park and Yosemite National Park apps that preceded it, the Cuyahoga Valley National Park app boasts a rich and impressive map interface that is hi-resolution, GPS enabled, includes every hiking trail in the park, and displays interactive points of interest. "I'm really pleased with the quality of our maps and how they contribute to the park visitor's experience," says Chimani President, Kerry Gallivan. "You won't find a hi-res downloadable version of this map anywhere else. We deliver all 51 square miles right to the user's iPhone or Android. It's a park explorer's dream." Hikers rave about the ability to follow their progress using the GPS feature, even when cell coverage fails or isn't available at all. "Like all the features of this app, you don't need cell access to unleash its full capabilities. 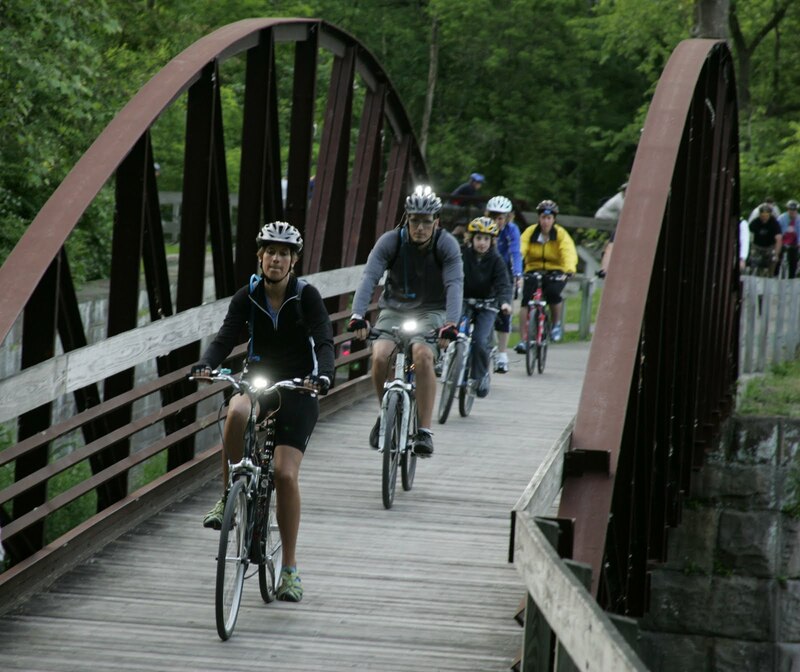 Whether you are riding the Towpath or taking the audio tour of the park (with over 45 minutes of professionally narrated material), you'll always be able to enjoy the full experience of the app," says Gallivan. The new iPhone app can be downloaded from Apple's iTunes App Store and the Android version from the Android Marketplace (keyword: "chimani") ") for $9.99. A “Lite” version is available for .99 cents. 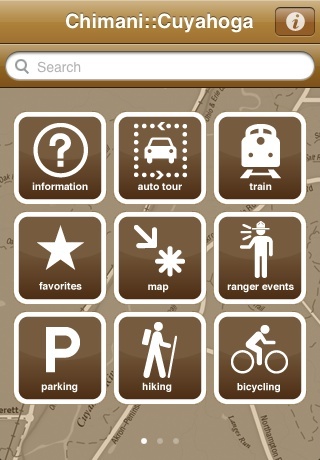 The Cuyahoga Valley National Park app is the latest in a series of apps by Chimani, including Acadia National Park, Yosemite National Park and the Cape Cod National Seashore apps, now available in Android versions as well as the original iPhone versions. Half-off prices valid Jan. 27 - Feb. 9, 2011 only. Save big on safety! A bike helmet is essential and should be worn on every ride. Already wear one? Great! But how old is your favorite helmet? Bike safety experts recommend replacing your bike helmet every 5 years OR after a crash. The Bell Slant looks and functions like a helmet that costs twice as much. It is super safe and comfortable, boasting 21 large vents and a snap-on visor. The Giro Indicator combines safety with sleek style, with 20 vents and a super-sturdy shell. Either model works great for adults or older kids. Stop in -- our staff is trained to custom fit your helmet to ensure optimal comfort and safety! At this time of year, we had to include something in this Hot Deal to keep you warm under your helmet, and the Alpine Reversible Beanie by Headsweats is the perfect companion for winter rides. 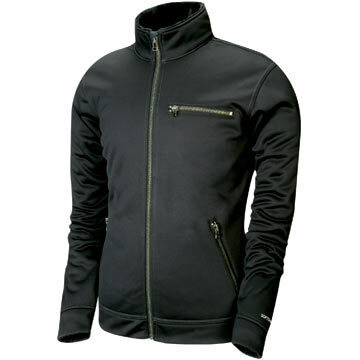 Warm, durable, moisture-wicking, and it features SPF 48 sun protection. This will be your go-to hat all winter long! Do not store a bike helmet in an attic, garage, car trunk or other area where heat can accumulate. Excessive heat may cause heat damage. Avoid loaning your helmet to others - you won't know what it went through on someone else's head. In the case of any crash or impact, a helmet should be replaced, even if everything looks okay. A helmet should be replaced after five years, even if it has remained crash-free. UV light, weathering and even pollution can weaken its components over time. Want to learn more? Read our article, 5 Tips: Helmets. This Hot Deal is good only January 27 - February 9, 2011 while supplies last. In-store purchase only; no online or phone orders accepted. No coupon necessary. Cannot be combined with other offers. We're thrilled to announce that Jackie Baker, a pro rider and expert trainer/coach from Giant For Women, is returning to Century Cycles to teach a free Posture, Gearing and Bike Fit Clinic on Saturday, February 19, from 4 to 6 p.m. bicycle store at our Medina store. • The gear women need to make riding their bikes more fun. “This Giant For Women clinic is designed to be helpful for all riders -- any discipline, any bike, any experience level,” says Baker, an Ohio native who purchased her first adult bicycle from Century Cycles in Medina over 14 years ago. She now travels the country doing women’s clinics and events for Giant Bicycles, one of the world’s largest bicycle manufacturers, and is making a rare Northeast Ohio appearance. Refreshments will be served. Each attendee will also receive a 20% discount on any bicycle accessories, parts or clothing purchased that evening. This event is free, but registration is required. For more information or to register, call Century Cycles in Medina at 330-722-7119. The last time Jackie was in Northeast Ohio in September, she gave a Basic Bike Maintenance Clinic to over 30 women at our Rocky River store (below). Click here for a summary, photos, and comments from attendees. Last month we didn't get a chance to tell you what an awesome time we had at Bradnan's Bowling Center in Middleburg Heights -- the site of our Century Cycles Staff Holiday Party! Some of us hadn't been bowling in a couple decades, while others showed up with their own bowling balls, shoes and mad bowling skillz (we're looking at you, Walters!). Regardless of proficiency, a great time was had by all! Many thanks to Bradnan's for the use of their party room for dinner, for stocking Great Lakes Christmas Ale at the bar, and for the behind-the-scenes tour by Jerry Bradnan. The Cleveland Metropaparks has embarked on a master planning effort and they are seeking public input to determine their priorities and directions for the next decade. While the park always must strike a balance with conservation and public use, they are currently willing to re-examine this balance. This is OUR CHANCE as the active community to tell the parks what we think! Wish we had MORE outdoor recreation in the Metroparks? More cycling/running races and events? Maybe camping, backpacking, rock climbing, xcountry skiing, MOUNTAIN BIKING?? It’s time to ask! Please make time to attend one of these meetings and express your thoughts. Don't know what to say once you get there? CAMBA has helpfully provided these talking points. People buying a new bike for the first time are often shocked to learn that most bicycles these days do not come with a kickstand. 1. Kid's bikes: Yes. Any kid's bike that does not have training wheels should have a kickstand. For most parents, the reasoning is, "He/She shouldn't be laying that brand new bike in the grass." Actually, laying in the grass temporarily is not really harmful to a bike. Go to any large organized bike event (like GOBA or Pedal to the Point), and you'll see literally hundreds of bikes, many of them worth thousands of dollars, laying in the grass. However, getting your kids in the habit of using a kickstand helps to instill good habits that lead to taking good care of their bikes in general. Thinking about how they leave their bikes when not in use will hopefully make them avoid leaving their bikes out overnight or in the rain, or that worst of all offenses, laying invisibly behind your car in the driveway. Make sure a kickstand on a kid's bike is sized properly. If it's too long, the bike will topple over to the opposite side when used on pavement, but if it's too short, it will sink into the dirt when used on grass. 2. Road or mountain bikes: No. If you have any aspirations of being considered a "serious" cyclist at all, whether you're riding on- or off-road, then the kickstand is taboo, the first warning sign of your phred-ness, whether you're racing or just trying to hang with the group during medium-to-fast-paced club rides. You probably paid a premium price to get a lightweight bike, so why bolt an extra pound or so of steel onto it? Plus, the lightweight tubing used in the bike's frame wasn't designed to handle the additional stress caused by the kickstand clamp. 3. Hybrids and cruiser bikes: Yes. These bikes are intended for more casual riding. You're probably going to make frequent stops to check out flora and fauna along the trail, wait for the kids to catch up, or to bop between the farmer's market and the coffee shop. Cruiser bikes are some of the few bikes that do come with a kickstand these days. Most hybrid bikes have a flat metal plate as part of the frame, right behind the pedals. This is the kickstand plate, so if your bike has one of these, then by all means, go ahead and indulge in a kickstand to make your stops more convenient. If you're using a road or mountain bike for casual riding or commuting, you may want to consider a kickstand for the convenience; check with your bike mechanic to ensure that it can be installed without damaging your frame. 4. Touring bikes: Maybe. The long-distance bike tourist faces the same issues as somebody riding for errands and commuting: what to do with your bike during frequent stops to smell the roses? A kickstand on a touring bike can be handy, but the weight of a fully-loaded bike is often too much for a kickstand to handle. You can try a special kickstand designed for tandems, which has two legs and is able to support more weight. 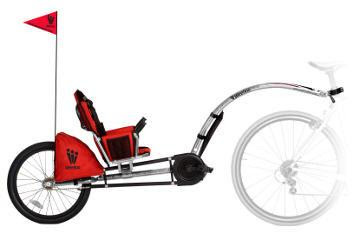 There are custom fold-up kickstands available that are about three or four feet long that provide a way to prop up your bike. As mentioned before, check with your bike mechanic for compatibilty of any kickstand-like devices with your bike. If you have an extended-length cargo bike, such as a Surly Big Dummy or Xtracycle, fortunately, these have a built-in kickstand plate that works well with a standard kickstand with all but the most extreme weight loads. 5. What do I do if I don't have a kickstand? Lean your bike against a tree, post, fence, railing, or anything else that's available. To avoid the dreaded wheel-flop-over, use a velcro strap or similar device to stabilize your handlebar. If possible, try to put the rear tire in contact with whatever you're leaning against; that way, any movement of the front wheel or handlebar is less likely to cause the bike to fall over. If you're riding with a friend, use the buddy system to create a "bike Eiffel Tower"--place your two bikes a foot or two apart, with one facing to the left and the other facing to the right. Lean them together carefully until they are resting on each other. Wherever you park your bike, please be courteous to those around you, and don't block access to doorways, gates, wheelchair ramps, public benches, or sidewalks. In conclusion, when deciding whether or not to use a kickstand, you should do whatever works best for you without worrying about fashion or what other people think. As long as a kickstand does not impair you or your bike and you want to use one, then go for it! Century Cycles sponsors the Banff Mountain Film Festival World Tour in Cleveland; Get your tickets in our stores! Century Cycles is proud to be the exclusive bicycle store sponsor for the Banff Mountain Film Festival Word Tour in Cleveland! We join On The Edge Films and other local sponsors to bring the world’s top films in mountain culture, environment, and adrenaline sports to Northeast Ohio! Ignite your passion for adventure when these movies from the renowned Banff Mountain Film Festival World Tour arrive in town. The tour makes a stop at the Masonic Temple and Auditorium, 3615 Euclid Ave., Cleveland, for an exclusive showing on Friday, April 15 and Saturday, April 16, 2011. The festival kicks off with Friday's Opening Night Reception, featuring beer, light appetizers, and dessert. Appetizers will also be served for Saturday's reception. On tap for both nights is complimentary Red Bull and Caribou Coffee. The receptions, which run from 6:00-7:30 p.m., include exhibits for outdoor enthusiasts, samples, raffles, and prize sign-ups. The films, different each night, start at 7:30 p.m.
Get your tickets early and save! Advance ticket prices, through Thursday, April 7, are $35 for Friday night and $30 for Saturday night, and can be purchased at Century Cyles in Medina, Peninsula, and Rocky River. Special: Purchase tickets for both nights by March 15 for $60. This deal is only available in-person at Century Cycles and other ticket sponsor locations! Tickets are also available on-line at www.theedgefilms.com. Ticket prices will increase $5 each on Friday, April 8. Seating is limited. On The Edge Films, Inc. brings the Banff Mountain Film Festival World Tour to Cleveland. For films, info, and tickets, e-mail info@theedgefilms.com or go to www.theedgefilms.com. Back in 2008, Josh in our Rocky River store was planning a bike trip out west, and he wasn't planning to get a new bike for it. Then, a month before his scheduled departure, he discovered his bike frame was cracked. That's when Josh decided to buy his first brand-new bike, the Surly Long Haul Trucker. 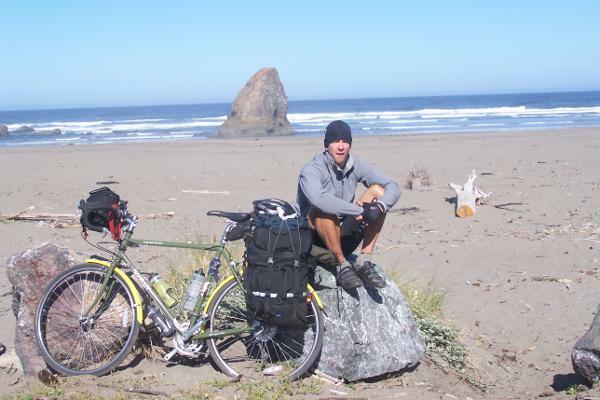 Click here to read what Josh has to say about what he calls "the perfect touring bike." While you're there, check out the other "What We Ride" stories from our staff. Considering a Surly Long Haul Trucker for yourself? Go here to check out our LHT line-up. Or consult the Surly Bikes Recommended Usage Chart (a Century Cycles exclusive!) to find out which Surly is the right Surly for you, then come see us and we'll help you select wheels and other components to put together your custom-built bike. Hydration packs are an often overlooked accessory by many cyclists, but now is a great time to consider one for yourself -- for a variety of reasons ranging from the new types of bikes to the new ways we ride and train. It's also a good time because we have the CamelBak X.L.P. Hydration Pack is currently 50% off at all Century Cycles stores (just $34.99, reg. $69.99), Hot Deal priced until January 26. Just as bikes have changed, so have hydration packs -- they have advanced beyond a sack of water on your back. They now have extra features that make the ride more enjoyable and many (including this CamelBak that's half-off) have anti-microbial properties to inhibit the growth of bacteria. Why should YOU consider a hydration pack? ++ It's healthier. Medical studies overwhelmingly point to improved athletic performance from a well-hydrated rider. Most riders are far more likely to keep up on the necessary liquid consumption when drinking from a hydration pack. ++ It can carry other gear you need. The CamelBak X.L.P. Pack has pockets to carry a tube, multi-tool, cell phone or some food, to make it more convenient than just a way to hydrate. 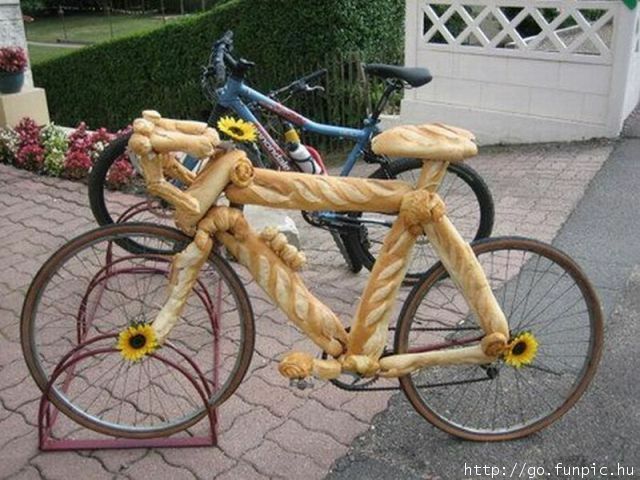 ++ It is ideal for long rides and training. Considering the MS 150 Pedal to the Point, GOBA, or any other long ride? Hands-free hydration is easy and safer. ++ It can be used more places than on the bike. Today in Rocky River, a woman bought two -- one for her son for riding and one for herself for hiking. Century Cycles is thrilled to be exhibiting at two wellness events next week -- the Revere Local Schools Annual Employee Wellness Fair on Monday, January 24, and Cleveland State University's WellFest on Thursday, January 27. With every bike ride we take, we can improve the health of ourselves and our planet! If you'd like Century Cycles to participate in your organization's wellness events or efforts, please email us at info@centurycycles.com. Q: Hey guys! I need to have my mountain bike boxed up to ship to Colorado. Are you able to box it up for me, how much does it cost, and how long would it take? A: Yes, our mechanics can box up your bike for you. Our charge for boxing a bike for shipping is $50. 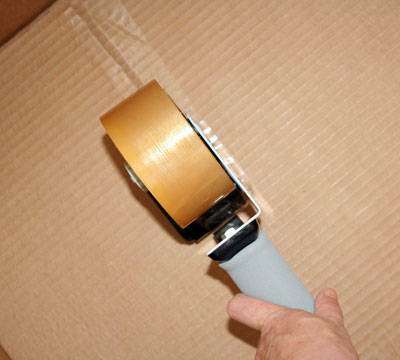 That's for doing a super-secure job assuming that it's going to be man-handled by UPS or FedEx, with foam, bubble wrap, cardboard, and whatever else we can wrap around the frame and all the parts to protect it from dents and scratches. After you drop off your bike with us, we should be able to get it done in a day or two. Remove the pedals, seatpost, and front wheel from the bike, turn the handlebar sideways, and put the bike in the cardboard box (if you don't already have a bike box, check with us --we may have one at one of our stores you can have). 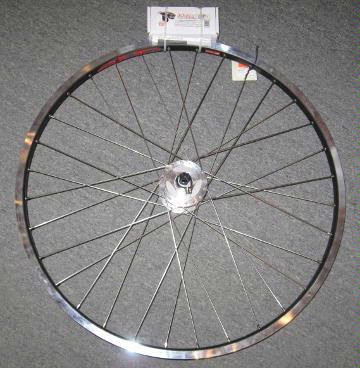 Put the wheel in next to the frame, the seat/seatpost in the bottom of the box, and put the pedals and any other loose parts in a plastic bike, and secure the bag somewhere inside the box (tape it to the inside, or tie it to the frame). Of course, you can still add any paper, plastic, and foam padding you want just to be safe. We know people who used this method going from Pittsburgh to DC to ride the Great Allegheny Passage, and it worked fine. Let us know if we can help and good luck with your travels! Thanks to the hearty souls who braved snow and cold to attend the free Basic Bicycle Maintenance Clinic in Medina last Tuesday! As you can see in the photos, Assistant Service Manager Tom Wiseman showed clinic attendees how to fix a flat tire, clean and lube a chain, and do a pre-ride safety check. Didn't get a chance to attend or had to cancel due to the weather? No worries -- we're hoping to schedule another free Basic Bicycle Maintenance Clinic in the Medina store on Tuesday, April 5 (stay tuned for details!) OR you can attend a free clinic in Peninsula on Saturday, February 12, or in Rocky River on Tuesday, March 15. Click here for more info about the free clinics AND our February maintenance classes. Half-off prices good Jan. 13 thru 26, 2011 only, while supplies last. Ride farther, longer and better with proper hydration and nutrition! 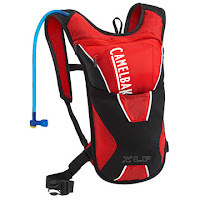 The CamelBak X.L.P. is a lightweight pack for endurance, triathlon, cross, or mountain bike training and race days. Featuring a 72-ounce reservoir, you won't have to slow down to hydrate, plus easily access pockets for your food, multi-tool, and flat repair kit. The RavX Delta X is a sleek water bottle cage that comes in black, blue, red, silver, or white and weighs just 45 grams each. It will enhance the look of your bicycle's frame and hold your bottles securely. Get a burst of energy by refueling in the saddle with PowerBar PowerGel, a concentrated carbohydrate gel that your body can absorb quickly for instant energy. Stock up on all the flavors - tangerine, double latte, raspberry creme, vanilla, and strawberry banana. The CamelBak Better Bottle features a flip-lock bite valve. The stainless steel material doesn't stain or affect the taste of your water or favorite sports drink. The 0.75-liter capacity won't fit in your bike bottle cages, but it's perfect to toss in your pack for an extra supply, or use the integrated handle to easily carry it or clip it to a belt during off-bike activities like hiking or cross-country skiing. This Hot Deal is good only January 13 - 26, 2011 while supplies last. In-store purchase only; no online or phone orders accepted. No coupon necessary. Cannot be combined with other offers. If you remember only one rule about on-bike nutrition and hydration, remember this one: Drink before you're thirsty, eat before you're hungry. Dehydration is one of the primary - and most easily avoided - contributors to fatigue. In hot weather, you should be downing the better part of two bottles per hour (and almost as much during cold weather, when dehydration is still a risk). A good way to determine your personal fluid needs is to weigh yourself before and after a hot-weather, long-distance ride. Remember that a pint of water equals 1 pound. If your weight drops more than 2 pounds during the ride, increase your fluid intake proportionately. I want to ride my bicycle - in Brussels Central Station! Click here if the video is not appearing above for you. Our Bicycle Maintenance Classes begin this week, and start at 6:00pm. If you're arriving for a class in Peninsula at the last minute, the front door may be locked, so just give us a little tap on the door or window to let us know you're here!